MORE than 300 council workers rallied today for fair pay and job security after having their wages frozen for three years. Gathering outside the Gladstone Regional Council at 5pm, several unions and council workers said council's approach so far to a new enterprise bargaining agreement was not good enough. The meeting was ahead of potentially months of uncertainty, after last Friday the council withdrew its proposed enterprise bargaining agreement in response to employee and union feedback. 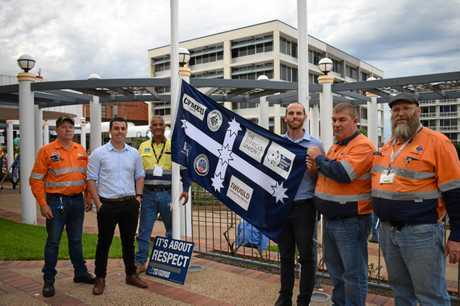 Australian Services Union Central Queensland organiser Chris McJannett said the proposal included another two years of wage freezes and no guarantees for job security. 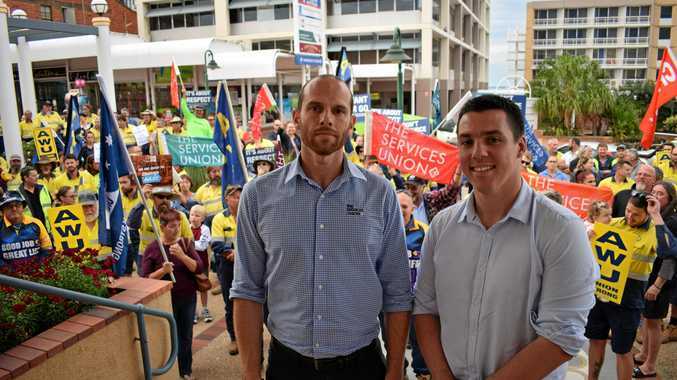 Mr McJannett said while other Queensland councils had delivered interim wage rises for workers, the Gladstone council had frozen wages for the past three years. "In many cases we're talking about council workers who are always doing that little bit extra, they come in early, work through their lunch breaks," he said. Mr McJannett said EBA negotiations started in April after they were postponed last year to allow the council to complete its restructure. He was uncertain how much longer it would take, because the council did not offer any alternatives after taking the widely opposed proposal off the table. The council said it respected the role of the unions as a voice for the employees and it would continue negotiations in good faith for an EBA. 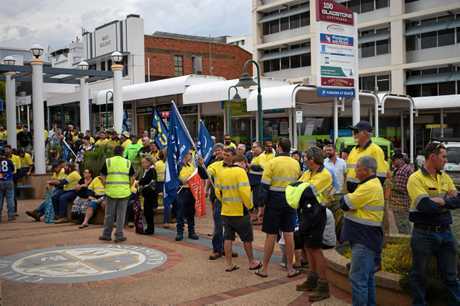 Gladstone Region Mayor Matt Burnett said the council withdrew its latest offer and would redesign it based on the feedback and concerns raised by workers. He said the council would address the workers concerns in the ongoing EBA negotiations. "We are committed to working with our people to understand what they are seeking from the Certified Agreement," Cr Burnett said. Cr Burnett said a 2.5 per cent pay increase was given to staff in September last year. During yesterday's meeting workers and unions discussed two resolutions union members voted on last week, including a vote of no confidence in the chief executive officer and for the unions to lodge documents in relation to protected industrial action.